Cakes & More: Gingerbread With Milk Chocolate Chunks. Merry Christmas! Gingerbread With Milk Chocolate Chunks. Merry Christmas! Merry Christmas folks! Am sure your fruit cakes and other Christmas goodies are all ready, waiting to be polished off. And your home is filled the scent of warm spices and all things festive! Do you love ginger? I always have peeled ginger in my freezer and use it often in cooking, absolutely love Ginger Chutney. But it is unlikely you will catch me eating candied ginger or other sweets with an assertive ginger flavor. But there are lots of ginger fans out there, so there has to a recipe for Gingerbread on the channel and blog. 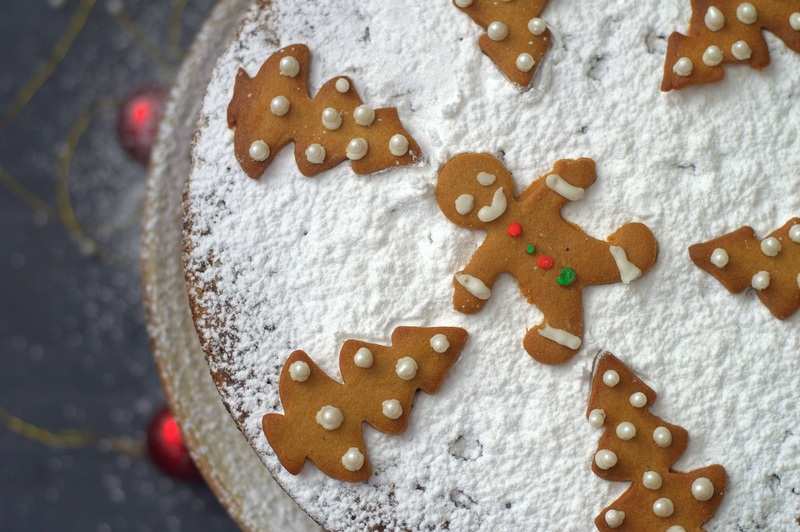 Gingerbread is usually made with fresh or ground ginger, spices and molasses for that rich color and flavor. This recipe from Alice Medrich has an unusual ingredient - milk chocolate, stirred into the batter. 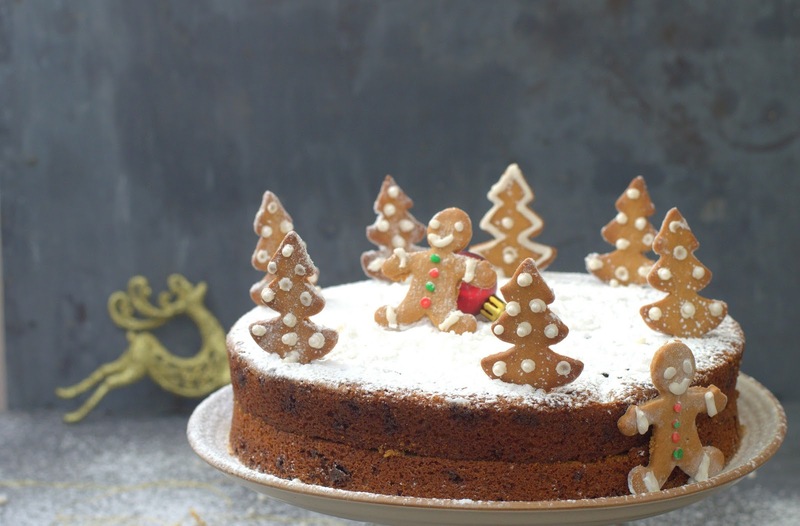 She describes the Gingerbread as a ‘pure bolt of ginger heat’ which is what you must expect considering that there is an entire half cup of fresh ginger in the cake! A cake meant for serious ginger lovers. Honey, molasses and brown sugar are the sweeteners which soften the heat, chopped milk chocolate lends it an exotic touch. The recipe uses light unsulphured molasses. Since I was not able to source it in time, I have used jaggery liquid. You can find it at organic food stores nearby. Please subscribe to my channel to watch a new video every Monday! Click here to subscribe! So if you are a die hard fan of intense ginger, do try this recipe! A sweet, very spicy ginger cake with a tender crumb is what you can expect. Preheat oven to 180C /350F. Line and grease a 9’’ round /9’’ square baking tin.Weigh all ingredients and line them up on the counter before you start mixing the batter. Sift together the flour, salt, baking soda and ground ginger twice. Set aside. In a large mixing bowl, combine the honey,molasses and brown sugar. Stir in the fresh ginger. Whisk in the egg. Whisk in the hot water and butter into the honey mixture. Scrape the batter into the prepared pan. Bake for 20-25 minutes or until a toothpick inserted in the center of the cake comes out clean. Be sure it is not a chunk of gooey chocolate your toothpick has encountered! The baking time may vary slightly in your oven. Do not overbake. Cool the cake in the tin over a cooling rack. When it is still very slightly warm, Invert the cake on the rack, peel the parchment. Reinvert on the serving platter,right side up. Serve warm plain or with a dollop of whipped cream /creme fraiche. Note: Try using mixed spices along with a lesser quantity of ground ginger. I would suggest you halve the recipe and bake in a muffin tin. Taste and tailor the spices and ginger to your taste. Moist Mini Fruitcakes - Quick and Easy! Zesty Date & Walnut Filling - No added sugar!